Join Darke County Parks as we welcome our first Winter Speaker, Andy Niekamp to Shawnee Prairie Preserve Nature Center on December 6th at 6:30pm. 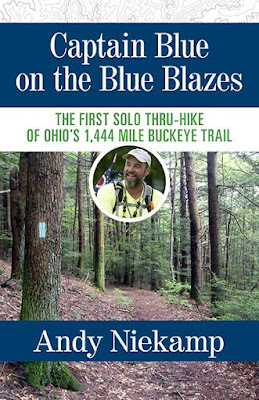 On an 88-day thru-hike of Ohio's Buckeye Trail, Andy "Captain Blue" Niekamp made the most amazing long-distance journey of his life. As he walked his home state through wilderness, farmland, small towns, big cities, rural and urban areas, he discovered Ohio in a way that can be only experienced on foot. Captain Blue's stories about the people and places, past and present will change the way you see Ohio. 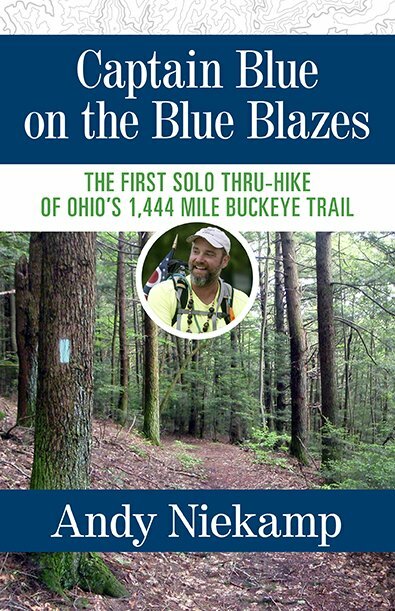 His beautiful photos and experiences will surely inspire you to hike the Buckeye Trail. Andy "Captain Blue" Niekamp has been a wilderness adventurer for more than 25 years. This IT professional, turned long-distance hiker has logged over 14,000 miles in more than 30 different states coast-to-coast including 9,500 miles on the Appalachian Trail. Hiking is Andy's passion and his acclaimed "fountain of youth." He has hiked the entire Appalachian Trail end-to-end four times. While more than 10,000 have completed the Appalachian Trail at least one time, fewer than 12 people worldwide have reported completing the Appalachian Trail four times. Andy is the founder and Chief Adventure Officer of Outdoor Adventure Connection, a backcountry guide service based in Dayton, Ohio. Andy has guided hundreds of people on backpacking trips that focus on backcountry skills, education, confidence, and Leave No Trace techniques. His company's motto is Live, Learn and Love Adventure. His goal is to inspire others to get exercise, make friends, explore nature, live a healthier lifestyle and make their community a better place to live! For more information about this or any of the other exciting winter speakers in this season’s series or other park district programs, please call the Nature Center at (937) 548-0165.